The beauty, diversity and abundance of Canadian mountains are depicted on the new limited-edition 2015 $200 Canada’s Rugged Mountains Silver Coin, the third issue in the Royal Canadian Mint’s Landscapes of the North series of silver coins that sell at face value. 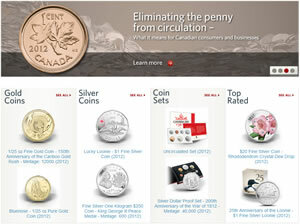 Struck in two ounces of 99.99% pure silver, the coin is available for $200 and without tax and shipping charges. Previous Landscapes of the North releases include the 2014 Towering Forests Silver Coin and the 2015 Coastal Waters Silver Coin. 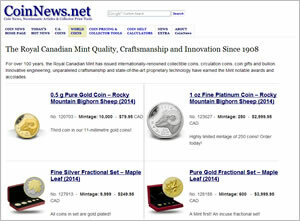 The first sold out with a mintage of 20,000 and the second is now at 93% of sales with a higher mintage of 25,000. Canadian artist Steve Hepburn created the design found on the reverse or tails sides of the coin. It is emblematic of the vast and varied plants, animals, landscapes and activities that one may encounter in the mountain ranges of Canada. Design elements range from a bunchberry blossom to a mountain goat to a snowboarder. CANADA is above the collage with 200 DOLLARS and 2015 below it. Hepburn’s initials appear to the left. Obverses include an effigy of Queen Elizabeth II by Susanna Blunt with inscriptions of ELIZABETH II and D G REGINA. 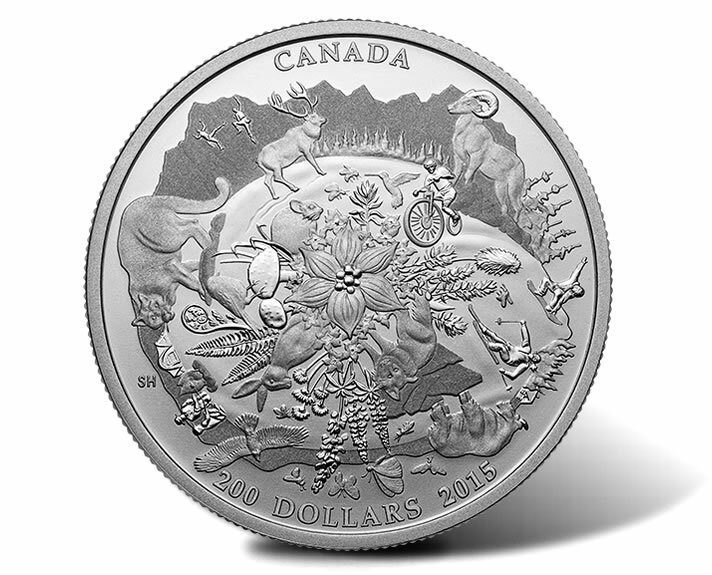 2015 $200 Rugged Mountains Silver Coins are available from the Royal Canadian Mint’s website at mint.ca. The following affiliate link goes to the series’ product page . Currently, there is a 2-coin per household limit.